On Thursday, October 18, 2018, Exabytes has invited our trainer Sam Suresh to present a talk about how to create mobile app easily without programming for their Designer Club. The event was held at Exabytes Office, Setiawalk Puchong, Malaysia. There were 22 participants from Exabytes Designer Club joining the 2 hours workshop. The workshop started at 9:00 AM. 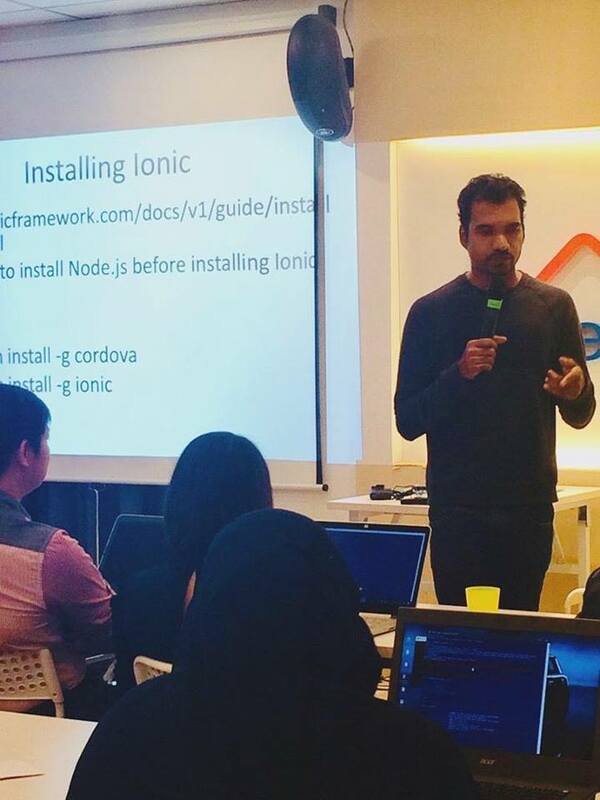 Sam uses Mobile App Training (Ionic) module during the workshop. 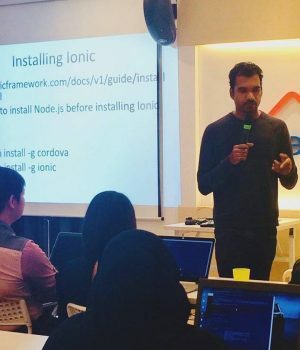 Ionic aims to simplify the process of creating apps for numerous platforms, and eliminate the need for duplicating the same code in multiple different languages for different platforms. Interested to join our Mobile App Training (Ionic) click here.